AMC’s previously cancelled crime drama The Killing, starring Mireille Enos and Joel Kinnaman, has been given a last-minute reprieve for a third season and will focus on a new case. You can read the full press release below. AMC and Fox Television Studios (FTVS) announced today a new deal which will return “The Killing” to AMC for a third season. As part of the deal, Veena Sud returns as executive producer, writer and showrunner along with actors Mireille Enos (Sarah Linden) and Joel Kinnaman (Stephen Holder). Season three will focus on a new case, which will be resolved over the course of 12 episodes. Production on season three begins February 25th in Vancouver. “I couldn’t be happier to know that I will be returning to work with AMC, FTVS and Mireille and Joel on what is and has always been a passion project for me. To the fans that have supported the series, thank you for doing so. My team and I will work hard to deliver the best story that we can for season three,” said Veena Sud. A year after closing the Rosie Larsen case, Sarah Linden is no longer a detective. But when her ex-partner Stephen Holder’s search for a runaway girl leads him to discover a gruesome string of murders that connects to a previous murder investigation by Linden, she is drawn back into the life she thought she’d left behind. ‘The Killing’ is produced by Fox Television Studios and executive produced by Mikkel Bondesen for Bondesen Productions. Kristen Campo serves as co-executive producer. The series premiered on AMC Sunday, April 3, 2011, with season two premiering Sunday, April 1, 2012. 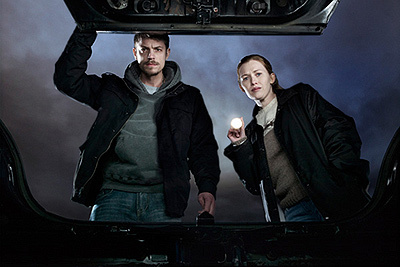 ‘The Killing’ averaged 1.9 million viewers over the 2 seasons. AMC’s Joel Stillerman, executive vice president of original programming, production and digital content, Susie Fitzgerald, senior vice president of scripted development and current programming and Jason Fisher, senior vice president of production oversee production of the series for the network.